Each year, design pros eagerly await the Color of the Year announcement from the experts at Pantone®. No matter what the hue, it’s always sure to make a splash—and home goods are no exception. From appliances and décor to tile and paint, manufacturers will start rolling out options to match (and complement) the Pantone Color of the Year. Pantone® Ultra Violet is the pick for 2018. This is no shrinking violet: It’s a deep blue-purple that isn’t for the shy. No wonder that the Pantone announcement referenced icons known for showmanship like David Bowie, Prince and Jimi Hendrix. Embracing a color this bold into your home might seem like a giant leap, but it could make a big mood difference in your home during the long, grey days of Seattle winters. 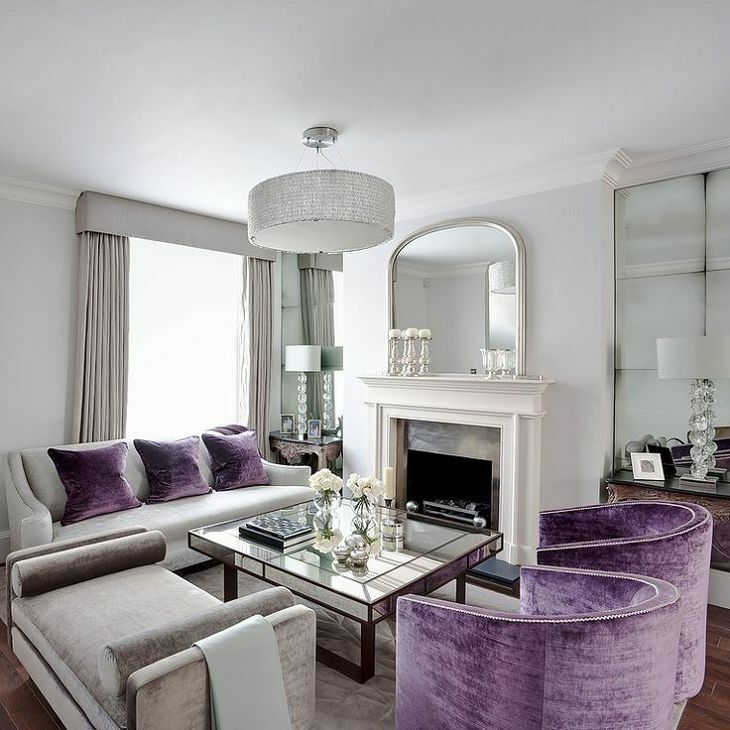 We have assembled a few ways to incorporate Ultra Violet into your home – some large and some small. Painting your front door adds instant curb appeal. Red’s a classic hue and teal is an up-and-comer, but this entry’s regal purple is a real knockout. Funny thing about purple: Though we tend to think of it as a scene-stealer, cooler shades in the blue-gray range can work almost like neutrals. Here, purple walls marry an eclectic mix of midcentury-inspired décor. You’ve seen the accent wall. How about the accent ceiling? A rich grape hue adds an unexpected twist to this bedroom’s gray walls and white trim. It gets extra punch from the peek of red seen through the doorway. One secret to pulling off a jewel tone like these royal purple walls: Choose a matte finish. Shine plus color can be hard to pull off, but a flatter finish is, well, flattering. If you’re planning on using UltraViolet in a bedroom or living area, consider incorporating it in a piece of statement furniture. In this case, the piece will act as the focal point of the room, since it will undoubtedly capture plenty of attention. With that in mind, bed frames, ottomans and reading chairs are excellent options to fill this role. For those who are a bit nervous about jumping into a design full of intense shades, keep in mind that you can always incorporate Ultra Violet into your accessories. These are a great starting point because they generally include lower-cost items that can easily be replaced when your tastes change or if you decide you’re not a big fan of the look. 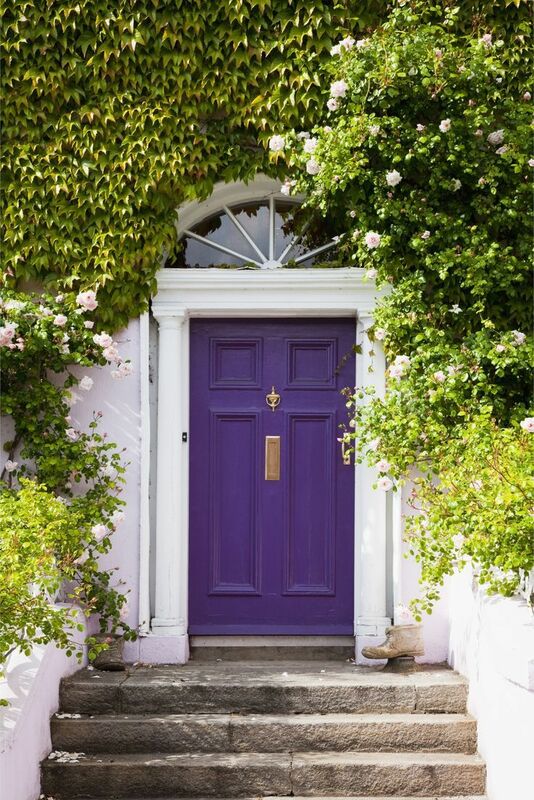 The post Decorating Your Home in Ultra Violet: Pantone Color of The Year 2018 appeared first on Fort Collins Real Estate | Fort Collins Homes for Sale & Property Search.